The usual discussion of sulfide removal emphasizes iron chemistry and fails to mention other reaction products resulting from the chloride and sulfate being released when the iron combines with the sulfur to form iron sulfide, a black precipitate. 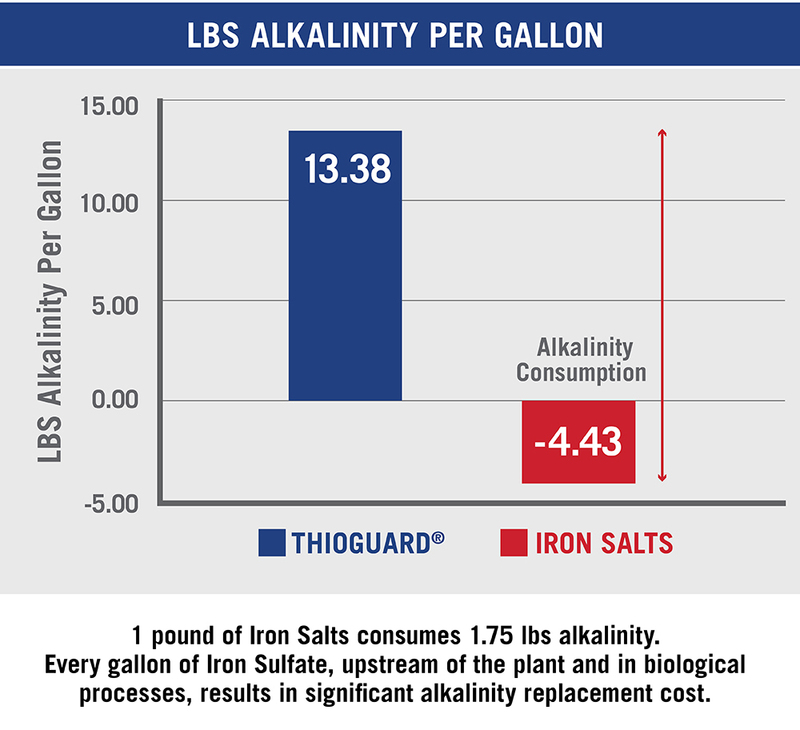 Additionally, iron strips alkalinity when used inside the plant. If there is also a chronic phosphorus deficiency, the result is needless organism death and higher plant biosolids disposal costs. The focus in this write-up is on odor control complications with iron sulfate. 1. The first step in the reaction produces iron sulfide as a precipitate and sulfuric acid. If this were all that happens in wastewater, iron would be fed at a stoichiometric rate of 4.5 lbs. of ferrous sulfate to remove 1 pound of H2S. This turns out not be the case and 2 to 3 times that amount is necessary for sulfide reduction. Why? 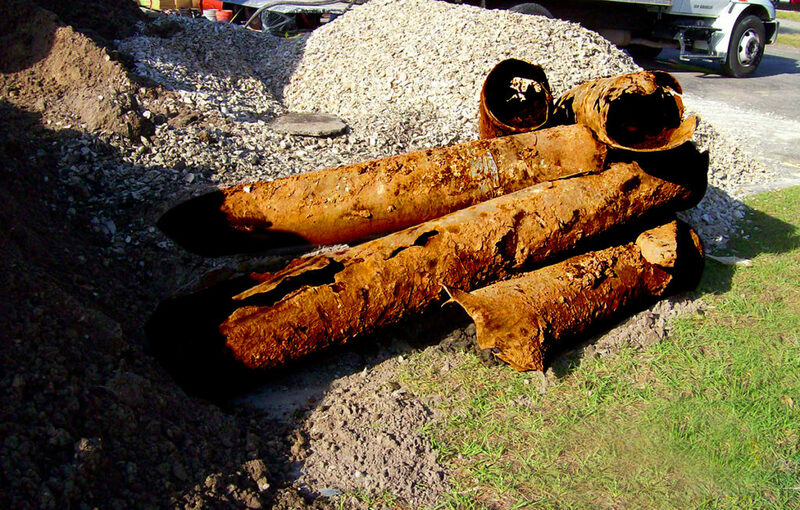 There are competing reactions in wastewater that will consume iron. Phosphorus, chlorides, sulfates, hydroxide, carbonate, oxygen and other common compounds compete for the available iron. 2. Now let us examine what may happen to the H2SO4 that is produced as a reaction product. First, it is corrosive and works to lower the pH in the wastewater. Second, sulfuric acid rapidly dissociates and will allow SO4-2 to be used as an oxygen source by the sulfate reducing bacteria producing more H2S. 3. 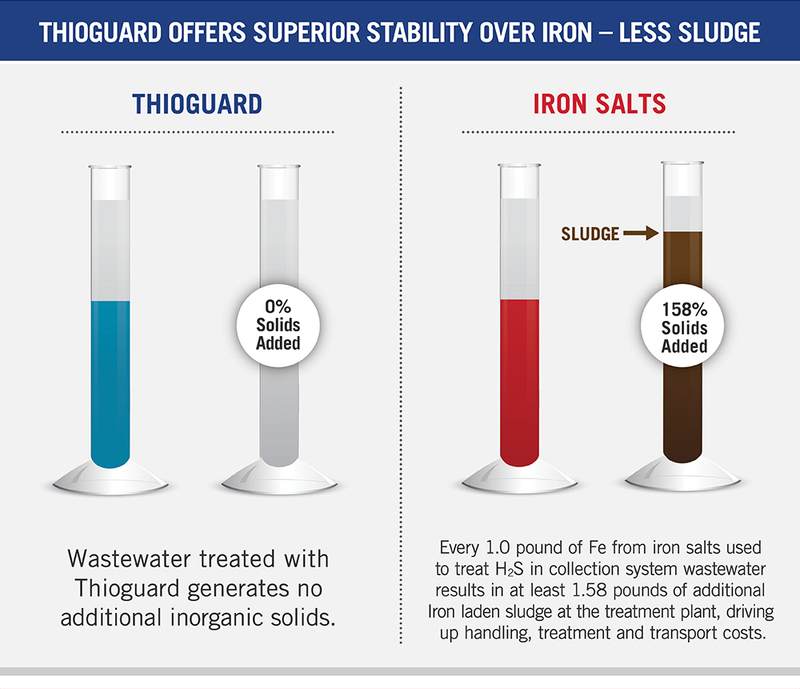 Theoretically, iron sulfate could produce as much sulfide as it removes stoichiometrically, which then must be removed with additional iron. 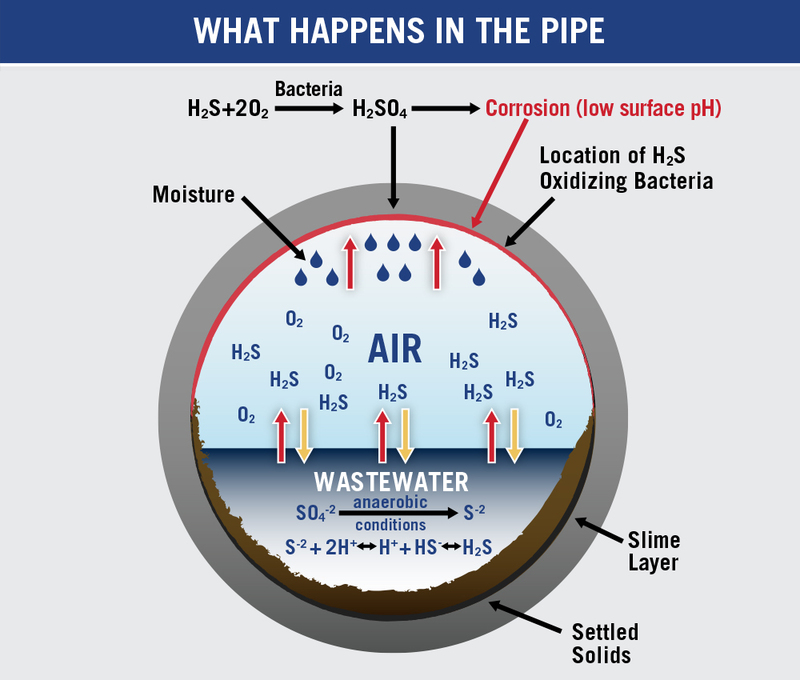 Lowered wastewater pH will also allow more H2S to be released as gas. The Magnesium binds the sulfide in a similar manner to iron and it will not be released unless the pH drops to 5.5 which is not normal in wastewater. 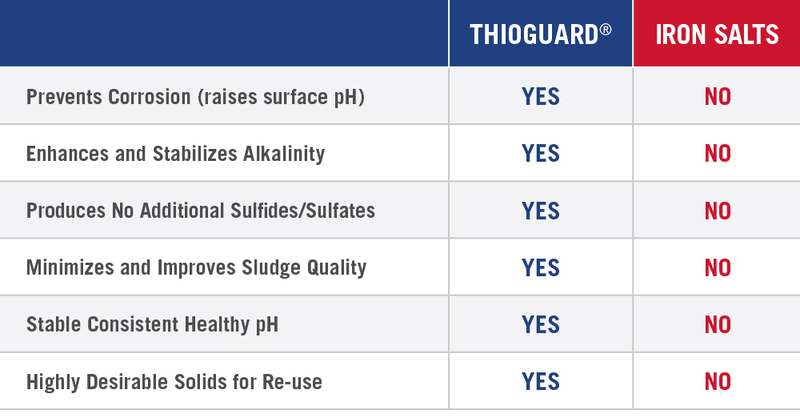 More importantly, Thioguard is preventative and controls the formation of sulfide by increasing the pH and retarding the Sulfate Reducing Bacteria activity. This entry was posted in Uncategorized by thioguardblog. Bookmark the permalink.